Team Heritage, of Macatawa Bay Yacht Club and skippered by Bob Hughes, prevailed today to earn the right to be the US defender in next week's Canada's Cup versus Team Vincere over the Chicago Match Race Center's Team Convexity. Sail22's Sailing Updates is providing coverage of the Canada's Cup 2011 Defender Trials racing action with blogging, video and photography. One race today rwas all Team Heritage needed to become the defender and they came from behind to win the one and only race of the day. Heritage won the first cross about ten boat lengths off of the line. When Convexity and Heritage met again half way up the beat, Convexity had a gained a solid three boat length lead. Convexity tacked for the windward mark early, which allowed Heritage to take advantage of a shift on the right. Convexity gybe set at the top mark and Heritage split and headed toward shore. Heritage's tactician, Morgan Larson, made the correct call, as when they came back to meet Convexity, they were able to gybe in front of them with a three boat length lead. Heritage continued to gain separation throughout the rest of the race, protecting the left side of the course in a tacking duel and went on to win the race with over a minute at the finish. 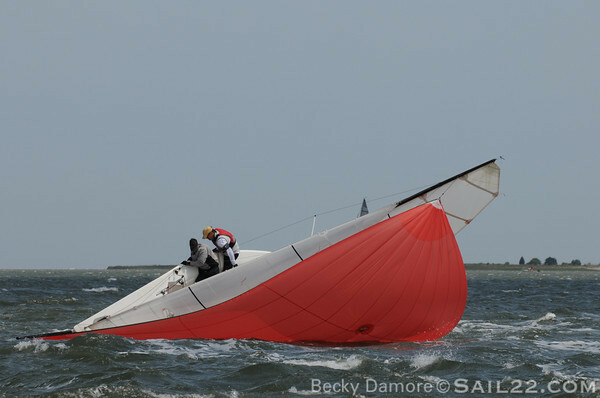 Photos from today's racing action can be viewed in the Sail22 Photography Gallery by Becky Furry. We are looking forward to covering next week's Canada's Cup racing action on Sailing Updates with Team Heritage and Team Vincere of the Royal Canadian Yacht Club vying for the cup. A great day in Macatawa Bay today for match racing! Sail22's Sailing Updates is providing coverage of the Canada's Cup 2011 Defender Trials racing action with blogging, video and photography. Three races in variable conditions were completed with Team Heritage, skippered by Bob Hughes with tactician, Morgan Larson, winning all of the races. Racing was tight in race one with Convexity, helmed by Don Wilson with Steve Hunt calling tactics, leading until the last windward mark. Team Heritage luffed Convexity prior to the mark rounding and gained the lead. The second race started with Team Convexity gaining a penalty on Team Heritage in the initial dial-up. Team Heritage cleared themselves at the finish with less than ten seconds to spare to win the race. The final race of the day, both teams split shortly after the start, with Team Heritage taking the right side of the course and Team Convexity the left. It was clear when the boats tacked back to meet that Team Heritage had chosen the correct side and they went on to win decisively. More racing is scheduled again tomorrow. The winner of the Defender's Trials will take on Team Vincere next week in the Canada's Cup. 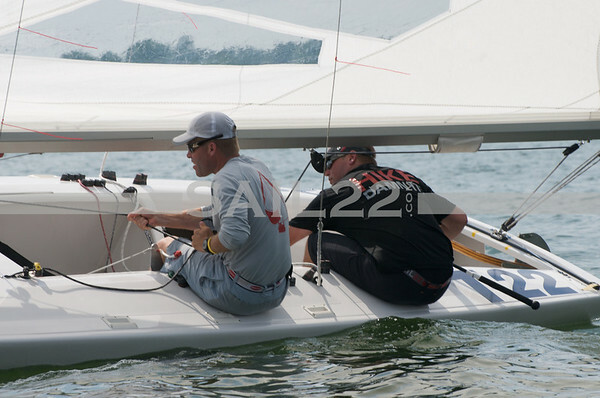 Photos of today's racing action by Becky Furry can be found in the Sail22 Photo Gallery. Check the video below for the luffing action at the to mark. Excellent match racing maneuver! Day one of the Canada's Cup 2011 Defender's Trials finished with a tie after two races. Team Convexity won the first race with less than a 20 second lead and Team Heritage won the second race with a decisive 1:42 minute victory. For the play-by-play of the racing, make sure to check out our Sailing Updates Check out the Canada's Cup 2011 Website for even more racing coverage from today with video summaries and tracking of the boats. 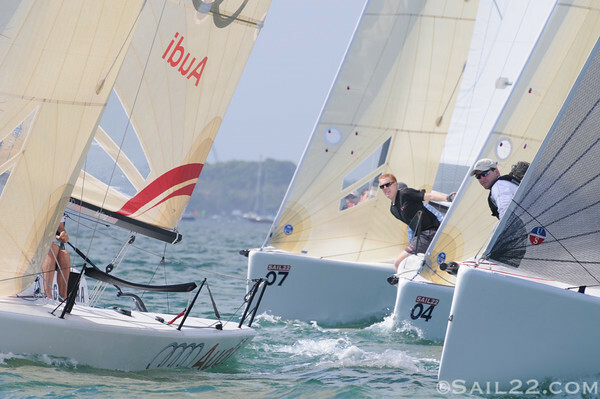 Sail22's photography gallery from the Canada's Cup Defender's Trial is now posted and will be added to throughout the event. 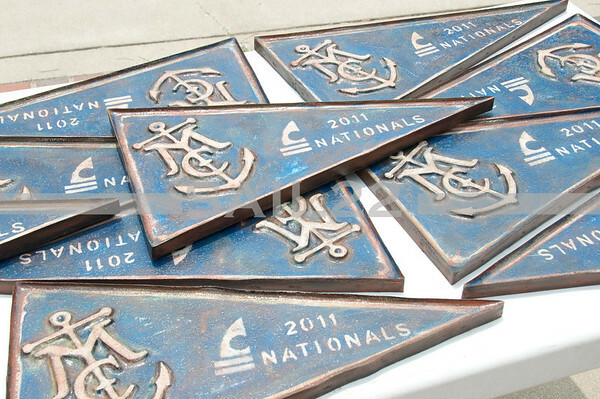 The C Scow Nationals 2011 hosted by the Maxinkuckee Yacht Club in Culver, Indiana started yesterday. It was a beautiful day on Lake Maxinkuckee, however the breeze waited until the late afternoon to fill. The Race Committee patiently waited and one race was completed in light air. 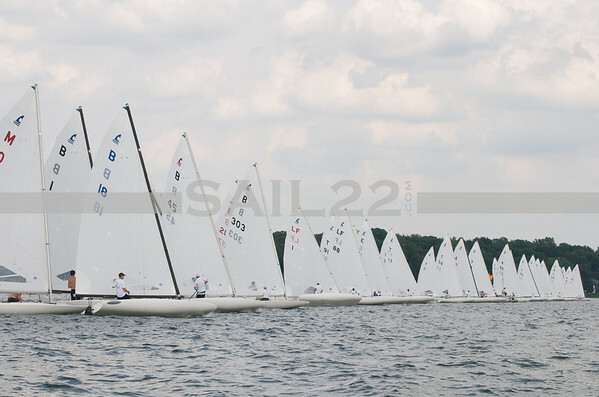 Photos from yesterday are now posted in the Sail22 photo galleries and can be found here. More will be added throughout the weekend. 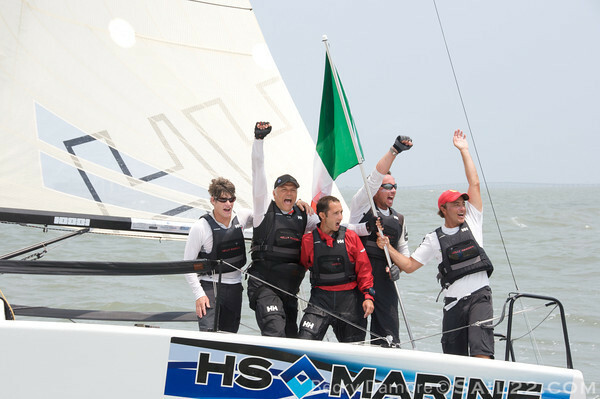 Congratulations from Sail22 to the 2011 Melges 24 World Champions, Lorenzo Santini's Uka Uka Racing skippered by Lorenzo Bressani and crew of Federico Michetti, Jonathan McKee & Favio Gridellie!!!!!! 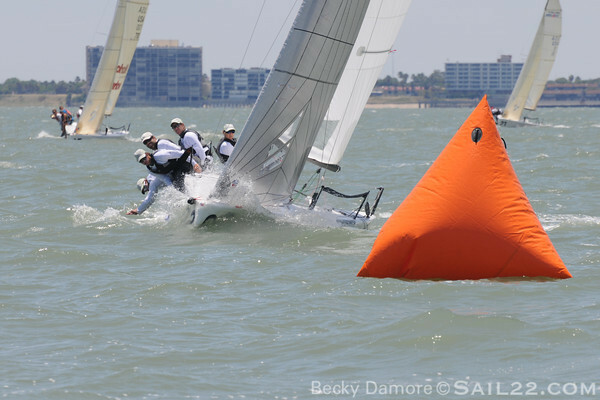 This is their third Melges 24 World Championship win in four years!!! We are so proud of you! 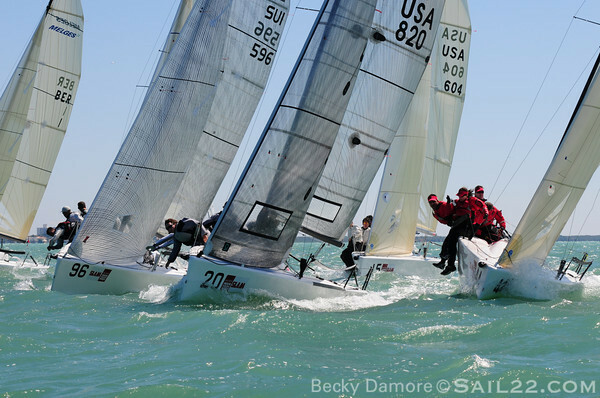 Check out the Sail22 Photo Gallery for additional photos of the Melges 24 Worlds 2011. Be sure to check out Sail22's Sailing Updates brought to you by New England Ropes, GT3 Creative and Sail22 to follow the last race action live from the race course! 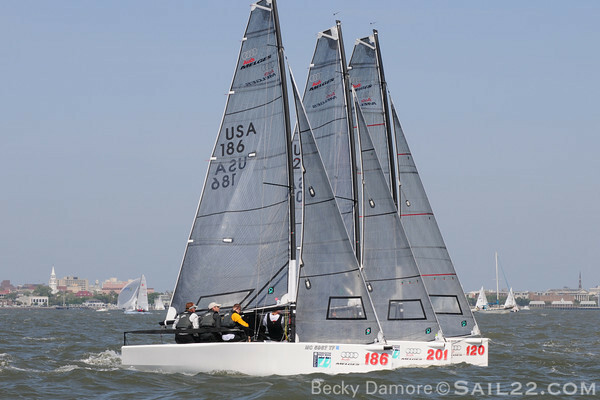 It was a great day for many of our Sail22 clients, but especially Alan Field's USA 811 WTF and Kristen Lane's USA 812 Team Brick House winning race one and two respectively of the 2011 Melges 24 Worlds hosted by Corpus Christi Yacht Club! The Sail22 Photo Gallery is now posted. Enjoy! Be sure to check out Sail22's Sailing Updates to follow all of the racing action live from the race course for an innovative and easy way to keep tabs on your favorite teams! We always are asked by teams where they should go for breakfast, lunch and dinner at events. 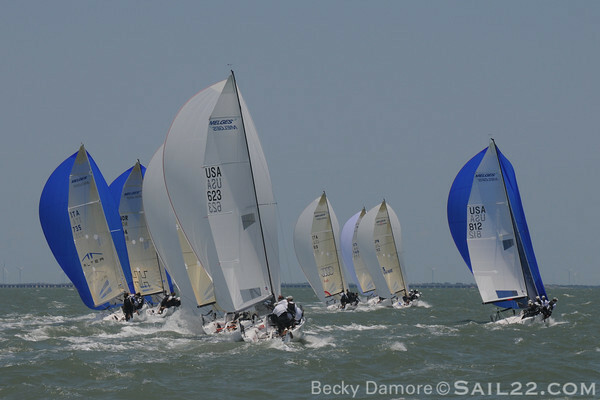 For the Melges 24 Worlds in Corpus Christi, Texas this week, I asked Shannon Bush for some local recommendations. We've tried a few so far and they've been great! 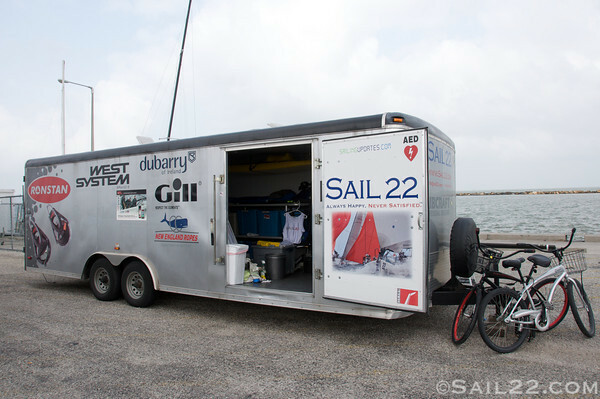 We arrived in Corpus Christi, Texas for the 2011 Melges 24 Worlds on Monday night with the Sail22 Support Trailer and a Melges 24. We hit the ground running and have the Sail22 Support Trailer set up and fully stocked to help any team. 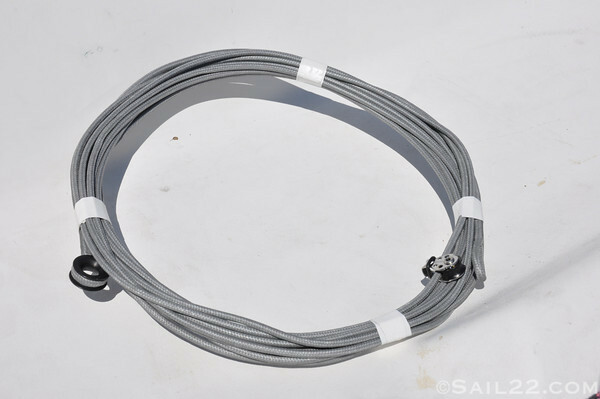 In order to support teams even more, our relationship with New England Ropes has grown with great new cordage in stock from now on and their logo on the Sail22 Support Trailer as a sponsor! We're ecstatic to have Ed's cousin, Bill Becker joining us full time at Sail22 to add even more support for teams. He's a great addition to Sail22! 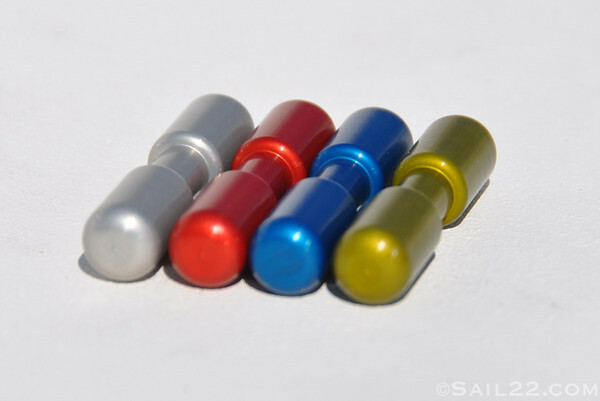 In addition to being on site with the Sail22 Support Trailer, we will be providing live coverage of the mark roundings, finishes and blogging from the racing with Sailing Updates for the Melges 24 Worlds. 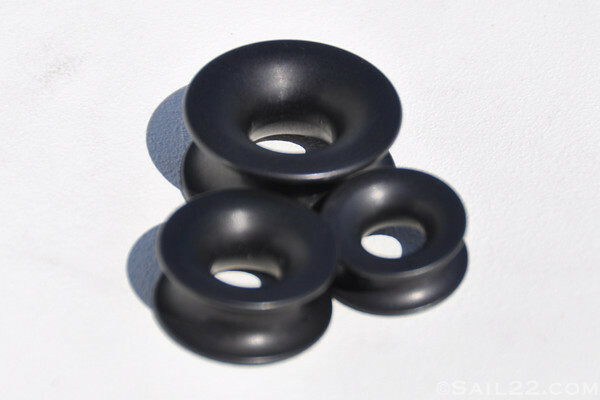 If you haven't had a chance to it out yet, head over to Sailing Updates and see what it's all about. We're pretty proud of it and think GT3 Creative has done an awesome job making our ideas work! We've had some great feedback from the past events and know there will be many followers of the teams here in Corpus from all over the World. Look for great coverage on Sailing Updates by Sail22 (smartphone friendly even!) 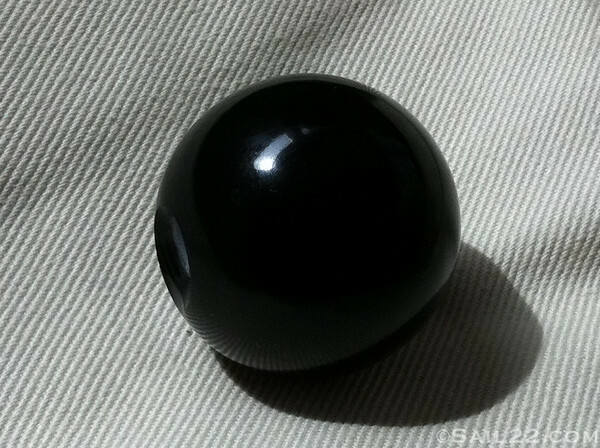 and Becky's photography starting soon! 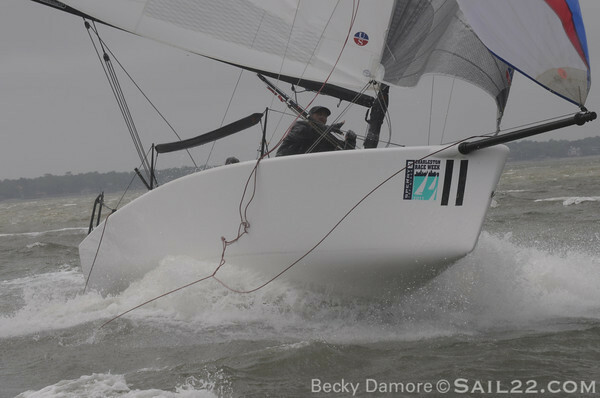 Since racing was abandoned for Day 2 of Charleston Race Week 2011 for all fleets, several teams gearing up for the Melges 24 Worlds in a few weeks in Corpus Christi, TX decided to head out for practice. After all, a big breeze day in Charleston doesn't even come close to a light air day in Corpus! Sail22 headed out with Ed driving while Becky took photos for the day thanks to Andrew from Protector and our sweet ride on the new Protector 25. 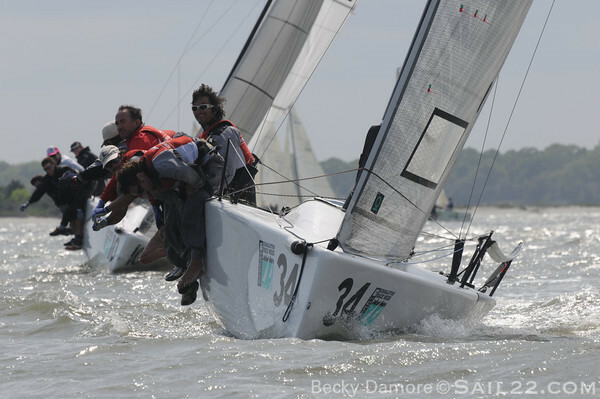 The Full Photo Gallery from Day 2 of Charleston Race Week is now posted. 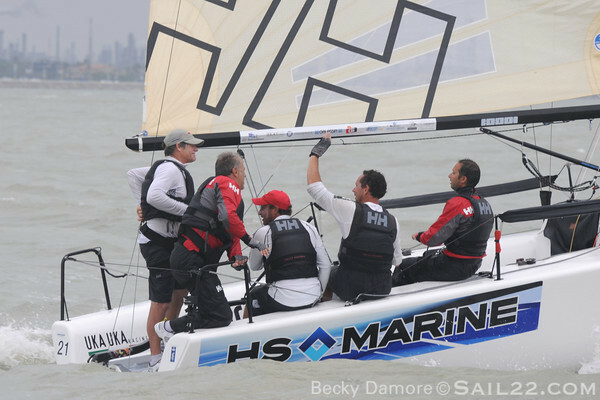 Alec Cutler's Hedgehog (BER 1), Brian Porter's Full Throttle (USA 749), Alan Field's WTF (USA 811), Kristen Lane's Brick House (USA 812) and Bora Gulari's Air Force One / New England Ropes ~ West Marine (USA 820) were all out having a blast. Definitely a great day on the water! 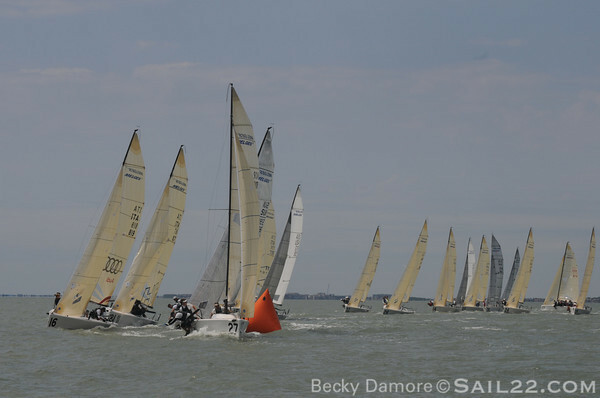 Charleston Race Week 2011 officially started today with great conditions and lots of racing. I made it out to cover all of the inshore courses and had a great ride with Andrew on Protector's new 25 foot boat. It's always wonderful to shoot from a Protector! 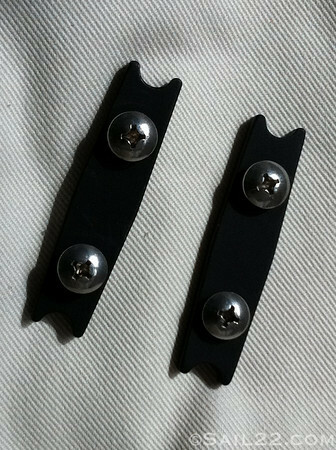 Thanks again to Moose McClintock from Dimension Polyant for helping out with the blogging for Sailing Updates as well. He'll be joining me on the water all weekend! Check out the Favorites Gallery I've started and will be adding to until the individual class and team galleries are ready for viewing. 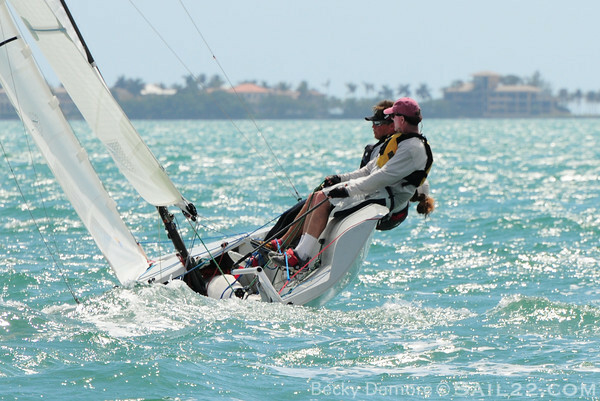 The Melges 24 Worlds are fast approaching and we are looking forward to it after a great Bacardi Miami Sailing Week! 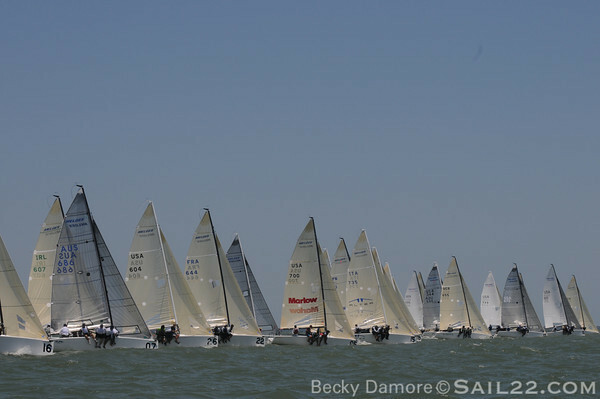 Just a friendly reminder of the Sail22 Melges 24 Corpus Christi Worlds Tuning Event to be held April 30-May 1. We currently have one boat registered and we really need at least ten boats to run a Worlds tuning event. Teams not doing the Worlds in Corpus are still invited and encouraged to participate. Please let us know if you are planning to attend, even if you have not registered. Please spread the word and pass this on to others who may be interested. We look forward to seeing teams in Charleston in a few weeks for another great event. Feel free to let us know if you have any questions or suggestions for the tuning event. Day one of Bacardi Miami Sailing Week 2011 for the sport boats only allowed for one race due to major thunderstorms that moved through Biscayne Bay. I made it out to the Viper course and had a chance to take in the action there. Enjoy the full gallery of Viper Racing on Sail22Photography.com! I'll add more photos to the gallery from the regatta for the Vipers and will be adding other galleries for the other classes. Hopefully tomorrow, there will be plenty of racing on all of the courses! 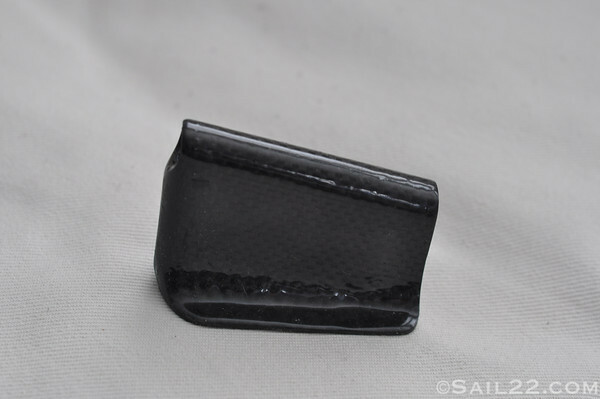 SOAK sent us a sample of their new Halyard Clip and all we have to say at Sail22 is...what's not to like about it!?!? 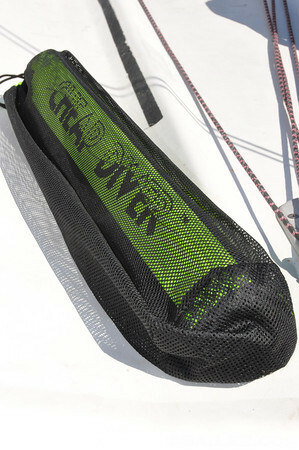 A simple, practical solution to an always nagging problem for any boat that hatch flies their spinnaker. 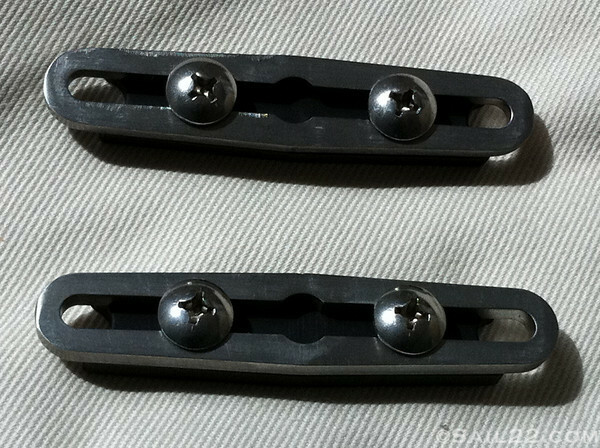 It's $19.95 and available in our store. We'll even ship it to you for free in the US! We ordered a batch, but they are going fast...so get your order in today. We'll have some at Bacardi Cup next week, so feel free to stop by the Sail22 Support Trailer at Shake-a-Leg and check one out in person. 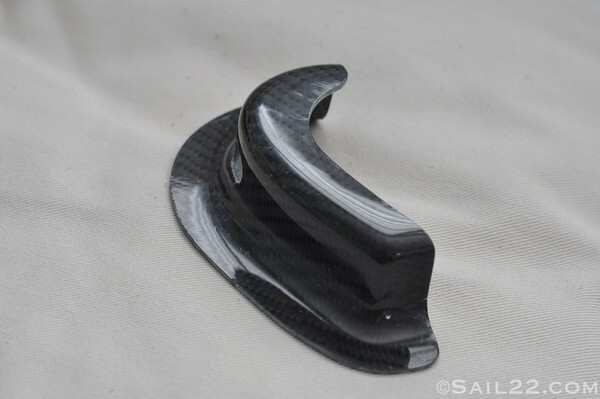 Ed's using it this weekend on the Etchells in San Diego, so he'll be able to tell you all the details!